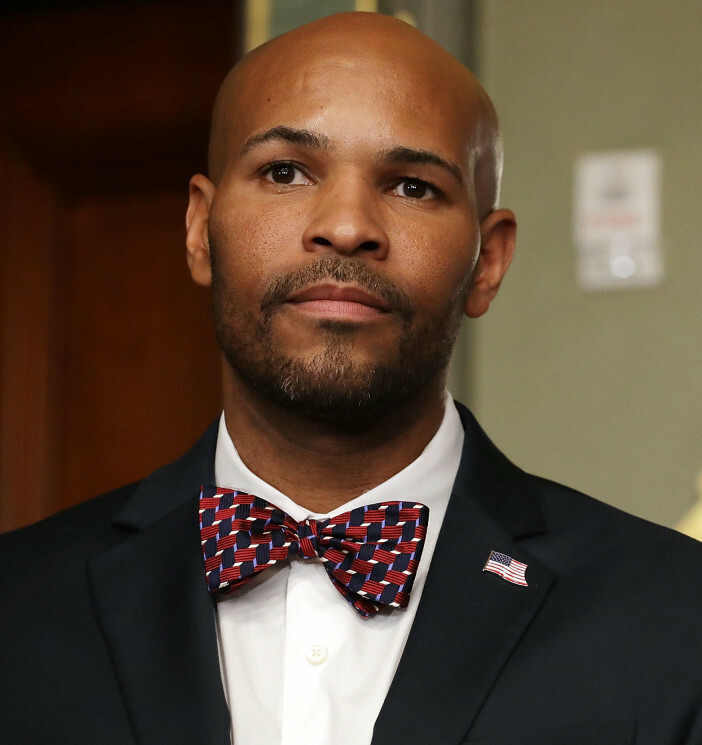 In September 2017, Dr. Jerome Adams was sworn in as surgeon general by Vice President Mike Pence, with whom he has a close relationship. Adams was formerly the health commissioner of Indiana. He has a medical degree as well as a Master’s of Public Health. The surgeon general oversees the US public health service commissioned corps. In this role, Adams has the power to dictate initiatives for HHS that it uses to center its work. Given the agency’s direction towards anti-choice extremism, Adams could have influence over those decisions. Vice President Mike Pence appointed Adams to Indiana health commissioner role and also advocated for Trump to choose him as surgeon general. Pence has an egregious record when it comes to reproductive health. A close ally of extremist groups such as the Susan B. Anthony List, Pence has said, “I want to live to see the day that…we send Roe v. Wade to the ash heap of history, where it belongs.” As governor of Indiana, he signed the most extreme anti-choice legislation in the counry, which sought to ban certain abortions, mandate forced ultrasounds and an 18-hour waiting period for women seeking abortions, and require that fetal remains be cremated or buried (judges have since blocked the law). The current Administrator of the Centers for Medicare & Medicaid Services, Verma previously worked with Adams in Indiana. There, she was a health care consultant, aiding then-Governor Mike Pence in rolling out the state’s consumer-driven insurance program for low-income Hoosiers — an alternative to Medicaid and the ACA she is now attempting to replicate across other states with federal guidelines meant to demolish Obamacare. The influence of the anti-abortion lobby has been clear in Verma’s tenure at the helm of CMS. She put forward a November 2018 proposed rule that would require health care issuers bill patients separately for abortion services and applauded Trump’s signature of a bill aimed at Planned Parenthood funding alongside anti-abortion activists. House Bill 1337 — Since Ruled Unconstitutional By A Federal Appeals Court — Attempted To Ban Abortions In Certain Circumstances, Mandate 18-Hour Waiting Periods And Forced Ultrasounds, And Require Fetal Tissue Remains To Be Buried Or Cremated.